A subset of immune cells directly target colon cancers, rather than the immune system, giving the cells the aggressive properties of cancer stem cells. These are the findings of a new study that is an international collaboration among researchers from the United States, China and Poland. 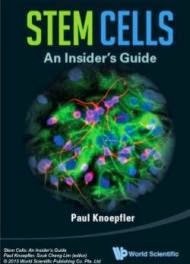 "If you want to control cancer stem cells through new therapies, then you need to understand what controls the cancer stem cells." said senior study author Weiping Zou, M.D., Ph.D., Charles B. de Nancrede Professor of surgery, immunology and biology at the University of Michigan Medical School. Consider invasive Africanized honey bees. The worker honey bees are like the bulk majority of tumor cells while the queen bee is like the cancer stem cell. The queen bee can repopulate an entire colony but survives on royal jelly. If you remove the royal jelly, the queen bee dies and the entire colony of invasive Africanized honey bees can be removed. Th22-derived IL-22 is the royal jelly. Th22 is a subset of a type of immune cell called T-cells. Typically, T-cells are the soldiers of the immune system, killing off tumor cells. In the case of colon cancer, the researchers found, Th22 acts as a tumor helper, actually supporting the cells in becoming able to renew -- one of the hallmarks of cancer stem cells. The researchers found that an epigenetic factor called DOT1L is regulated by IL-22, contributing to the cells developing stem cell properties. High levels of DOT1L in patient tumor samples were tied to shorter survival. The researchers suggest DOT1L may be a marker for colon cancer progression, and that this pathway could potentially be targeted in new colon cancer treatments. The researchers are now looking at potential drugs that might target this process directly. No specific therapies are currently available. Tumor immunology and immunotherapy has become a hot research topic recently.Science named it the breakthrough of the year in 2013. Zou's group has been among the pioneers in understanding how the immune system plays a role in cancer.